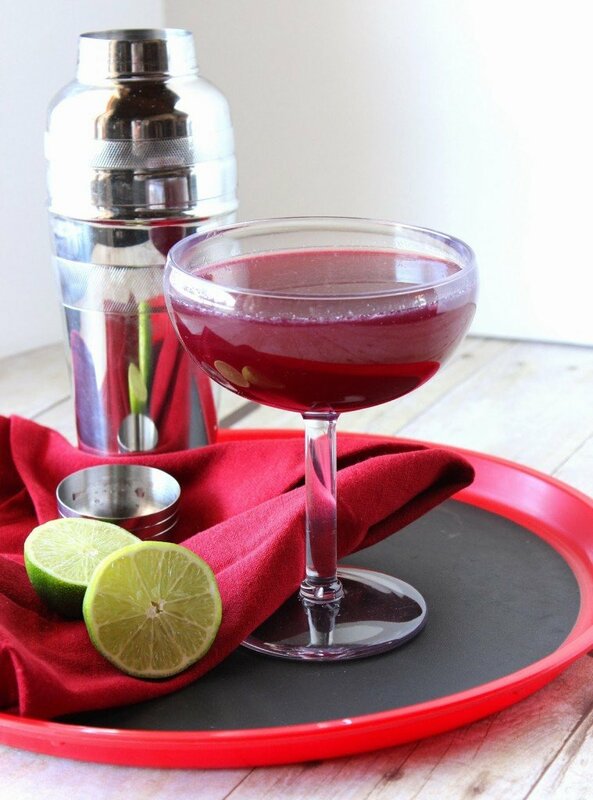 When Heather of Girlichef put out a call to bloggers far and wide to celebrate today being National Margarita Day, I just knew I had to answer her call with my recipe for Mixed Berry Margarita’s. -Place all the ingredients into a cocktail shaker and shake to mix thoroughly. -Pour into a Margarita glass and serve. Thirsty for more marvelous Margaritas and Margarita inspired recipes? Check out the links below and enjoy the National Margarita Day celebration!!! This looks so delicious! Love the color. Thanks for sharing with us for National Margarita Day. I love the color of your margaritas! They sound quite tasty! Look at the gorgeous color of that margarita, I love it!!! Good things definitely come to those who wait – these sound just amazing, Renee! 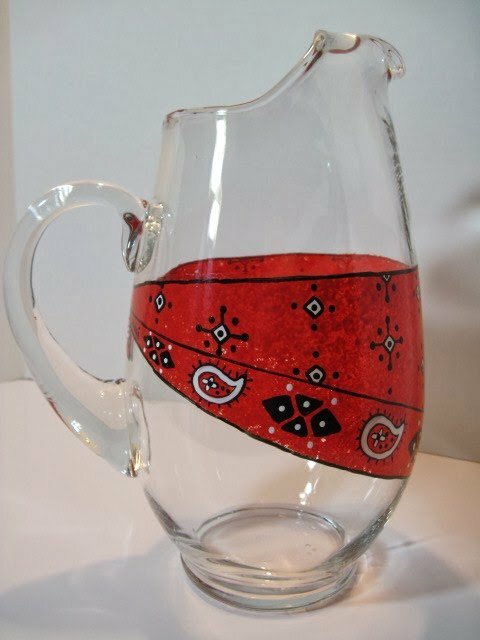 And that bandana-pitcher is so fun :). Cheers! I love this drink. So fresh and festive! Happy National Margarita Day!! Love the pitcher!!! And what a beautiful margarita! Cheers! What a stunning color! This could be my favorite margarita! These sound like they'd have the perfect balance of sweet and tart flavors. Love that pitcher, too! Off to check out your shop! Great color and I love mixed berry juice…we always have some kind of pomegranate-berry on hand for mixers! Oh I have raspberry Acia juice in the fridge that I think would be great with this! Looks like it's berry margaritas with dinner tonight! Hi Reneé! I do believe this is my very first visit to your blog. Such a bright and inviting blog. And this margarita is beyond beautiful. Think of all the antioxidants from all that berry juice! A good-for-you margarita!! Wow, what a great pitcher! Renee, you painted that pitcher?! It's gorgeous! You are one talented lady. This drink looks fabulous. I hope you were sipping on this all day long. Cheers! This sounds so refreshing and yummy! And the pitcher is amazing, too! From Delaware Girl Eats – lovely jewel-like color from the berries — yummy!